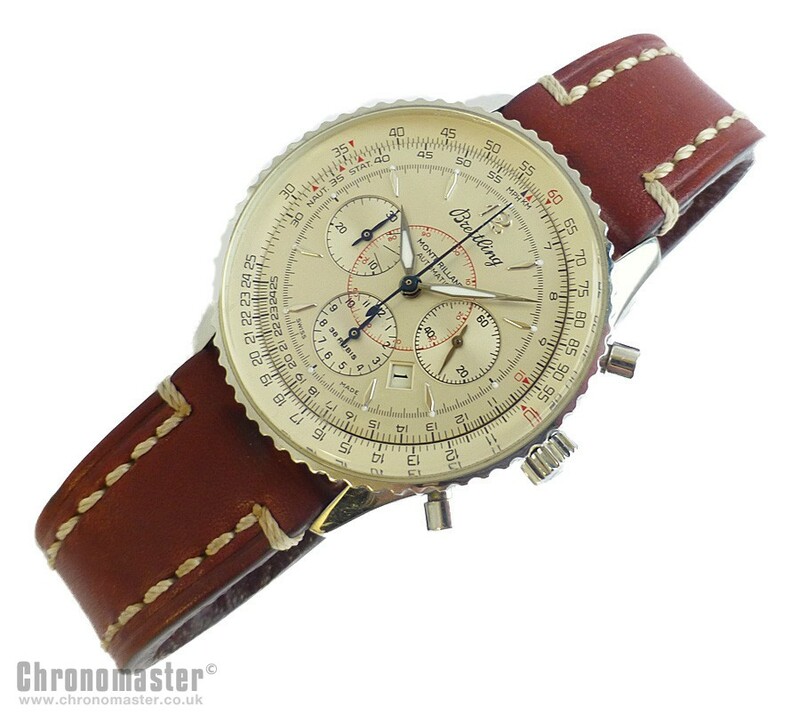 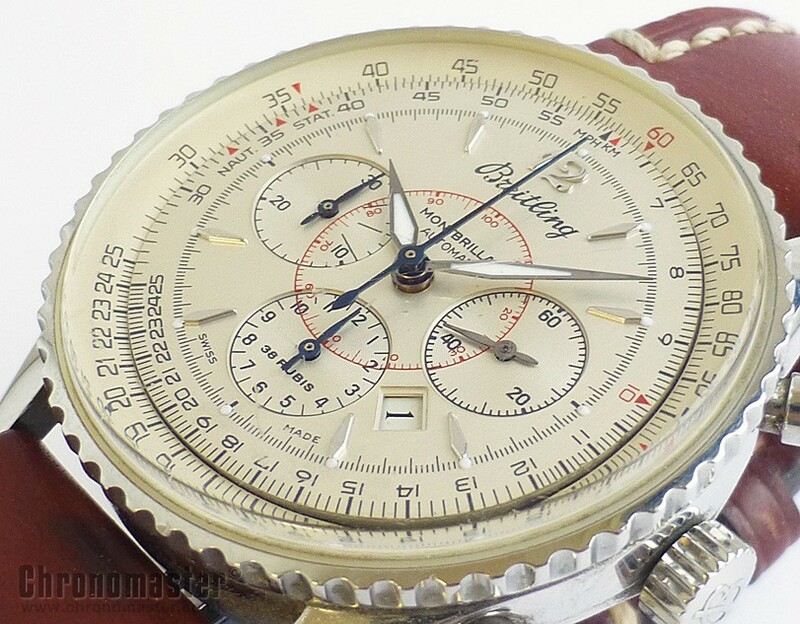 Mint condition and just serviced Breitling Navitimer automatic chronograph. 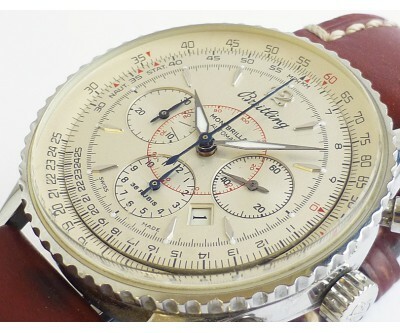 This one is the Montbrilliant model, it is slightly smaller than the full size Navitimer at 38 mm opposed to 40 mm . 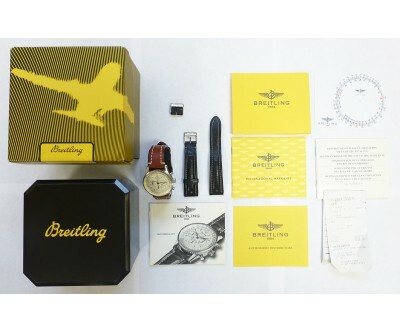 It comes complete with box and papers and original warranty showing it was sol originally in 1999 by authorised Breitling dealers, Alexanders. 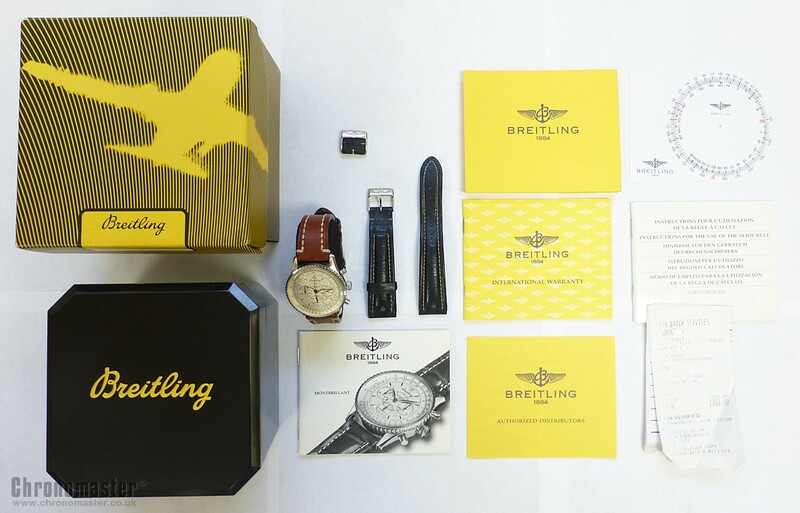 It comes in the Bakelite box,, and as with all of the Breitling Bakelite boxes, it has damaged hinges due to wear on the Bakelite. 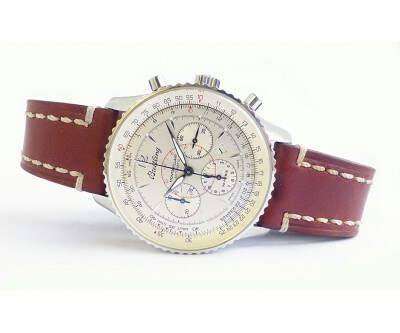 The Navitimer was first introduced in 1952, the Navitimer provided pilots and air crews with a highly innovative chronograph design. 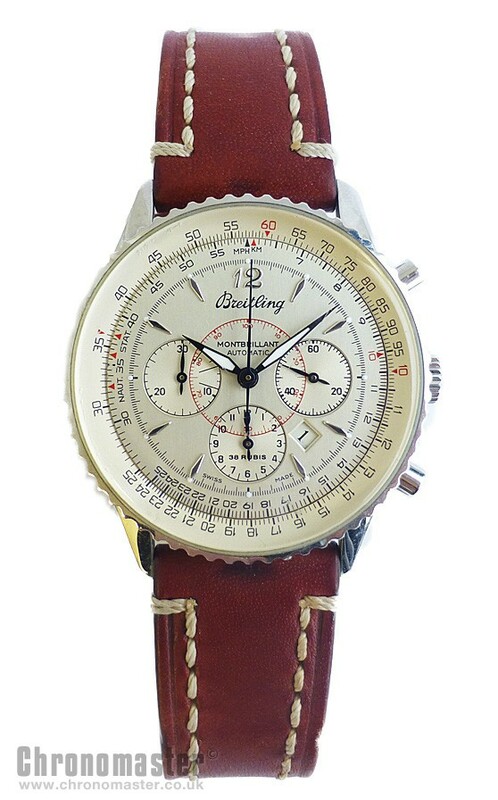 For the first time, a watch featured a "navigation computer" capable of executing every calculation a flight plan requires. 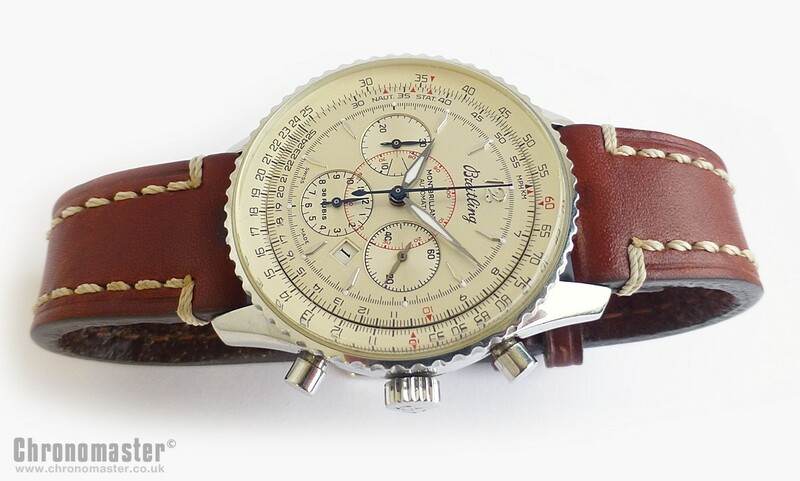 These include: multiplication, division, calculating ground speed, calculating miles per hour, calculating miles per minute, calculating fuel consumption, calculating rate of climb or descent, calculating the distance of climb or descent and nautical and statute mile conversion. 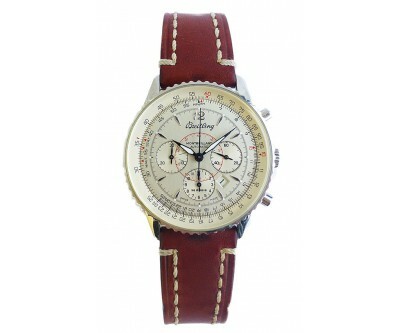 This is a true professional instrument watch that has been adapted to today's even more strenuous requirements. 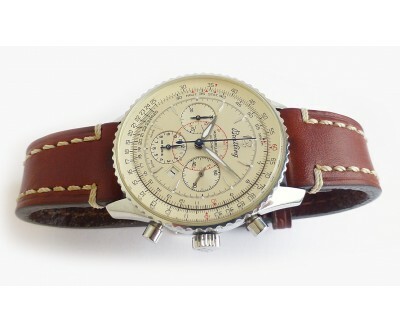 It comes on replacement brown leather strap with Breitling buckle. 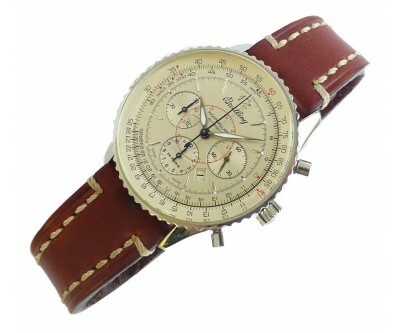 It does have the original black strap but this is quite well used. 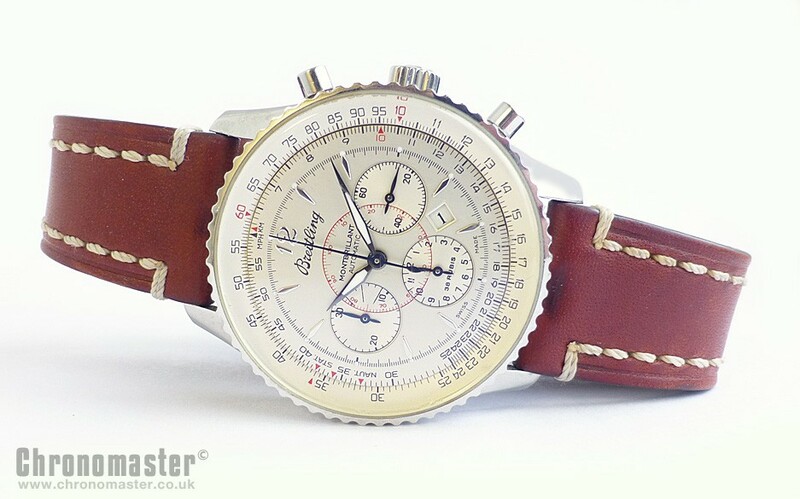 Dimensions are: width is 38 mm excluding crown, 40 mm including crown and 43 mm lug to lug and thickness is 14.5 mm.